MADISON, Wisconsin, March 23, 2011 (ENS) – University of Wisconsin-Madison limnologist Stephen Carpenter has been awarded the 2011 Stockholm Water Prize, it was announced in Stockholm, Sweden on March 22, World Water Day. 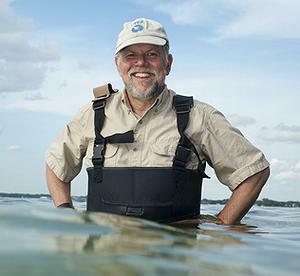 Professor Carpenter is one of the world’s most distinguished authorities on lakes and fresh water ecosystems, including eutrophication, long-term ecological change, lake food web dynamics, and the economic and social aspects of fresh water ecology. The award will be conferred on August 25 by King Carl XVI Gustaf of Sweden in a royal award ceremony at Stockholm City Hall during World Water Week. The Stockholm water Prize was first presented in 1991. Past recipients include such luminaries as Rita Colwell, a former director of the U.S National Science Foundation. Carpenter, who directs the UW-Madison Center for Limnology, is a member of the U.S. National Academy of Sciences and a foreign member of the Royal Swedish Academy of Sciences. In one of Professor Carpenter’s most popular university courses, students play an eco-game that he co-authored. The Northern Highlands Adaptive Management Game allows the player to make decisions about the future of a social-ecological system based on the Northern Highland Lake District of Wisconsin. The scenarios that are simulated by the game are online at: http://lakefutures.wisc.edu. He is a former president of the Ecological Society of America and his research, documented in five books and nearly 300 scientific papers, is among the most cited in all of environmental science. He has received numerous awards and honors, including a Pew Fellowship in Conservation and Environment, the G. Evelyn Hutchinson Medal of the American Society of Limnology and Oceanography, and the Robert H. MacArthur Award from the Ecological Society of America. That means, for instance, that overfishing large fish in a lake can result in an increase of smaller fish, decreasing the abundance of zooplankton further down the food chain. This, in turn, would increase the growth of algae and amplify the effects of eutrophication. Those findings have influenced strategies for dealing with eutrophication and have provided a practical framework for the management of freshwater resources. It might not be enough to reduce the emissions of nutrients to a lake in order to overcome the problems, but that one might need to change the composition of the fish community as well. 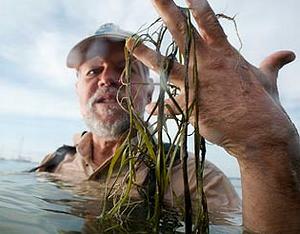 Professor Carpenter’s research has proved to have broad applicability to other ecosystems than lakes, the citation says. Known amongst his peers in the scientific community for his creativity and enthusiasm, Professor Carpenter’s work combines different scientific disciplines and approaches. By seeking collaboration outside of academia, he has managed to link research to both policy and practice. He has supervised numerous students throughout the years, and has helped many in developing innovative field research experiments.